Let’s face it, attorneys should spend their time practicing law, not playing part-time IT support and trying to manage their computers. Updates from Apple, third-party software updates, and general maintenance all require time – which could better be spent representing clients and generating income. 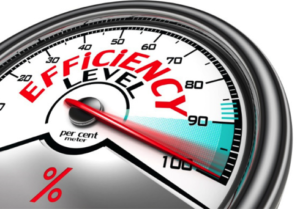 Smart attorneys recognize this and outsource their IT needs to enable themselves to simultaneously increase their productivity while reducing their security risks. Really smart attorneys choose GlobalMac IT (my law firm’s preferred provider for many years), no matter whether they are solo practitioners or members of a large firm. 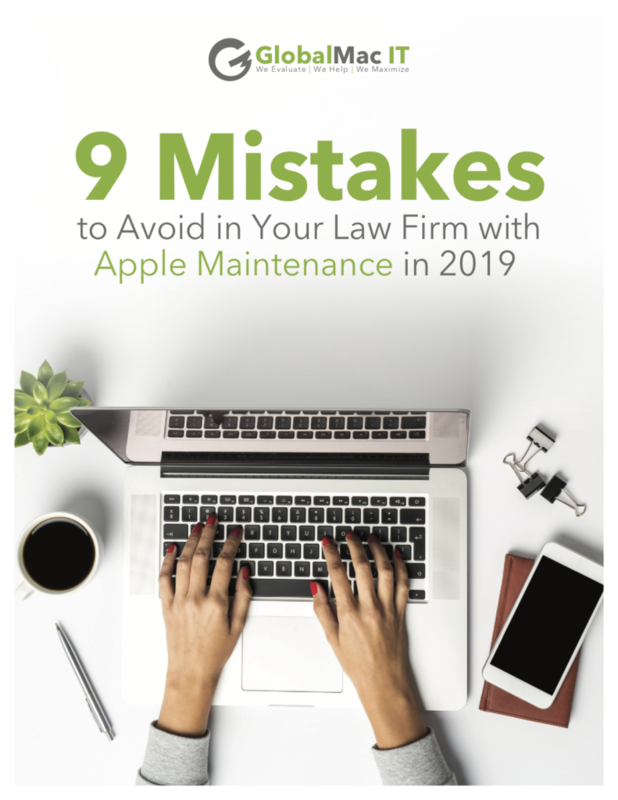 Because knowing what NOT to do is almost as important as knowing what TO do, Global Mac IT has prepared a free report, 9 Mistakes to Avoid in Your Law Firm with Apple Maintenance in 2019, which discusses ways to reduce your IT fees by reducing tech issues and downtime by implementing simple approaches you never learned. You can learn more and obtain a copy of your free report by clicking HERE. 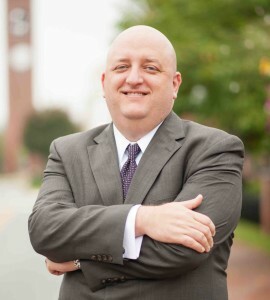 My friend and business colleague Tom Lambotte, CEO of GlobalMac IT has recently developed a true breakthrough in managing Apple technology for growing law firms to help them increase efficiency and allow them to scale their firms fearlessly. If your law firm is using Macs and you’ve ever wished there was a better way to manage them, this is something you most definitely need to know about. As the co-author of Macs in Law: The Definitive Guide for the Mac-Curious, Windows-Using Attorney, Tom knows what he’s talking about. 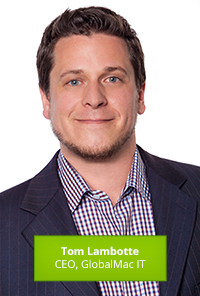 Tom is going to introduce this revolutionary new process in a free webinar for Managing Partners and Office Managers on Thursday, April 26th at 1pm EST (10am PST). This free webinar is sponsored by Rocket Matter, and you can get the full details (and save your spot) by clicking here. Managed Services is the opposite of the reactive, hourly model. The biggest benefit is being able to budget IT costs and shifting the support approach from reactive to proactive. The majority of Managed Service offerings are offered in a tiered model, such as Bronze, Silver or Gold. Bronze, for example, provides only phone support, with Silver providing slightly more, etc. My company ceased providing hourly support when I realized the business model I built the company on (hourly support) was a break/fix model with many flaws. I would set up my clients or resolve their issues and then say, “call me when you need me.” I prided myself on my ability to resolve issues promptly and enjoyed working with my clients. However, there was always a subconscious voice in my head telling me I could prevent many of the reactive issues coming I dealt with. There had to be a better way. 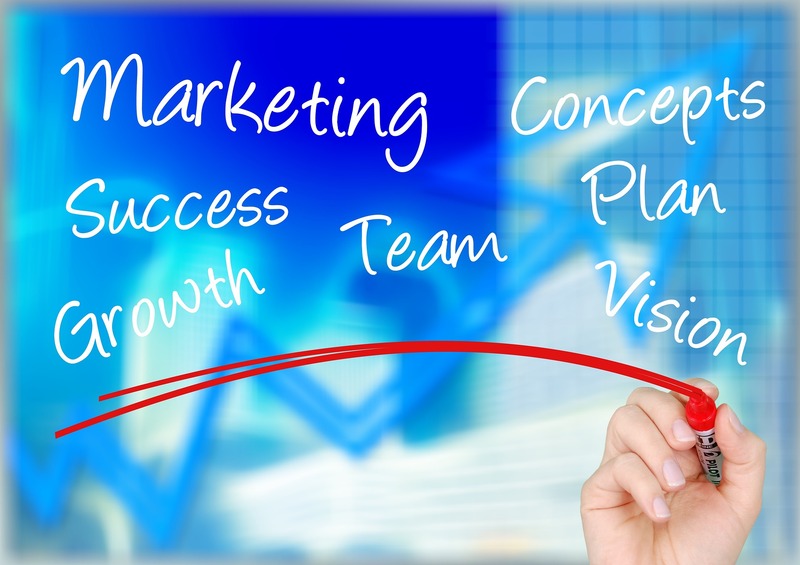 When I discovered the Managed Services model, I embraced it fully and we haven’t looked back. 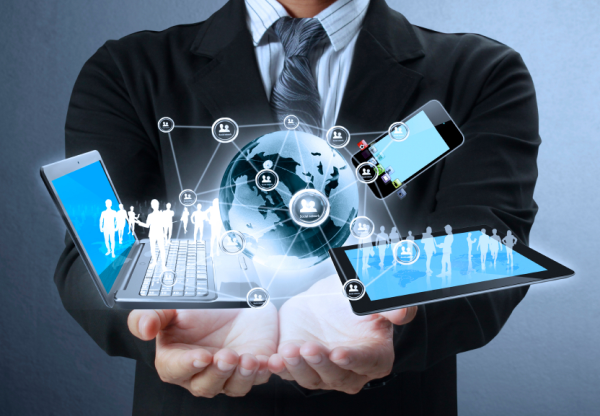 Managed Services provide a dramatic improvement over the options of DIY and hourly support. However, as our experience grew working with Managed Services, we saw some shortcomings with the tiered model of Managed Services. These insights led to the evolution of our current services. 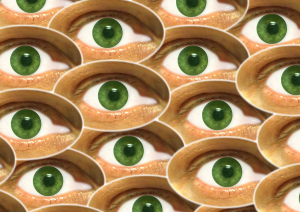 The tiered model means some things are included and others are not. Items such as Project work, training, after hours or emergency support, setting up new staff members, office moves, on-site support, for example, are rarely included, and therefore billed hourly. I found this tiered model often made clients feel they were being nickel and dimed. The overall impact of this model ends up hurting your firm in several ways. 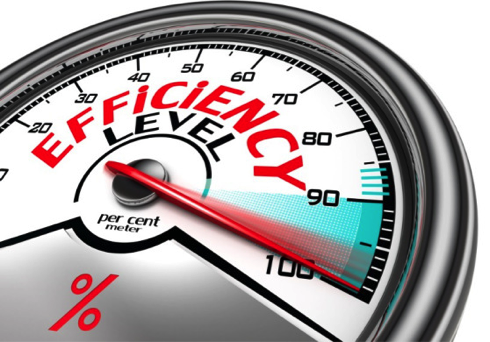 First, one of the big benefits of Managed Services is being able to budget your IT costs. But if project work is not included, how can you budget accurately? The biggest problem this leads to is the delay of important projects that would be beneficial to the firm. Because the cost is not in the budget, projects that are important but not urgent are often pushed off and delayed. This impacts the firm’s profits, assuming the new solution would have addressed a bottleneck in the firm or boosted productivity in some way. For example, we have seen many firms fail when trying to roll out technical solutions on their own. The data is often neither migrated not configured properly, and they don’t provide proper training. Ultimately, the staff does not buy into the solution and it fails after the firm spent a LOT of money trying to get it off the ground. Not knowing the level of support will cover an issue may deter your staff from calling the IT company, because they don’t want to rack up additional bills for the firm. This leads to small issues developing into bigger issues. A word of caution: Windows-based Managed Services Companies. Managed Services in the Apple world is a fairly new model, with less than 100 all-Mac Managed Service Providers in the nation. This means many Mac-based law firms looking for a proactive support option often only come across Windows-based Managed Service Providers who claim they can support Macs. The number ONE issue with most Windows-centric Managed Service Providers supporting Macs is that it is financially impossible for a Windows-shop to provide the same level of support to Macs as they do to PCs. They cannot justify spending the same amount of resources on training, tools and support for the 5-10% of their computers that are Macs. Because of this you will not receive the same caliber of support provided to their PC users. In the majority of cases, when they say they can support Macs, they have one person who’s the “Mac expert.” When that person is out of the office, Mac-using clients are out of luck. Simply becoming Apple Certified does NOT make one an expert. It is a step in the right direction, however, there is still a long way to becoming proficient at supporting Macs. I have heard many stories where the client ended up knowing more about Macs than the support person they are speaking with! Talk about a horrible experience. If you are an all-Mac law firm, you need to do extra diligence if you are considering hiring on a Windows-centric IT company to support your firm. Not everyone out there is negligent in this area, but sadly I can say from experience that the majority are not able to fully support Macs. A Managed Services has some flaws, it is a huge step forward in becoming proactive in managing your technology. Next month’s article will discuss the 4th and final option, the unique offering version of Managed Services of my company, GlobalMac IT and how it is specialized for Mac-Based Law Firms. 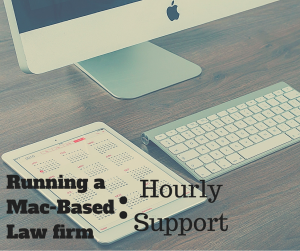 In this Guest Post, my friend and technology guru Tom Lambotte from GlobalMac IT discusses the second most common option for IT support when Running a Mac-Based Law Firm: an hourly consultant. The smaller the firm, the more likely they are to use the DIY approach which we discussed in the first part of this series in last month’s newsletter. But, inevitably the DIYers run into something that’s beyond their scope, which is where the hourly IT consultant comes in. Based on my experience having worked as an hourly consultant for five years, approximately two-thirds of my clients operated with the DIY approach and only called when things were dire. I’ll discuss the most common pitfalls and give strategies on how to get the most value when working with an hourly consultant. The consultant has no incentive to fix other issues they discover. They often give an estimated time to address the problem they are called in to fix, so they do their best to stay within that estimate. Discovering issues while working on addressing the issue at hand can put the consultant in a difficult position. Do they address the issues as they come across them and go over their estimated time or just focus on completing the task at hand? They bill hourly, so to maximize their income, they need to line up their day with appointments. Their primary focus is resolving the problem in the time they have allotted, whether that is the right amount of time or not. This time pressure can often lead to duct-tape fixes, leading to issues needing to be addressed more than once. The overwhelming majority of Apple Consultants are one-person shops, meaning they are not always available when you need them. I remember the challenge this posed. If I was with a client and had an emergency with another client, I’d be in a pickle. If you’re the one in a pickle and your consultant is busy, you won’t know when they will be able to respond. Very few consultants have chosen an area of expertise to develop. The overwhelming majority of Apple Consultants work with anyone with a Mac. This makes it unlikely that they will be familiar with the specific tools, techniques, structures, systems or new ways of thinking and problem solving specific to the legal industry. Their clientele has as much variety as a magazine rack at Target. Their purpose is to fix the issue you asked them to fix. Not to find ways to boost productivity for your staff, streamline your processes, look for security risks in your setup, or implement solutions that will benefit the firm. There’s a strong belief out there that: “I switched to Macs so I didn’t need IT support.” However, your system is more often than not riddled with bottlenecks and security holes and plagued by issues and productivity losses. Without fail, I would quickly create a list of issues that my clients had never been aware of. There is far more that falls under the IT umbrella than just installing updates. It is all the things You Don’t Know You Don’t Know that a specialist can help you address. Make sure they are Certified. The IT industry is NOT regulated and hiring someone who is learning on your dime can be costly. Don’t hire someone from Craigslist or your friend’s son who really likes Macs. Search for a Certified Apple Consultant in your area. Then, just like you do on Amazon, read the reviews and do some research before picking one. You can also call your local Apple Store’s Business Team and ask for recommendations. Test them out. It’s better to have a consultant and not need one than to need one and not have one. Don’t wait for an emergency to find a consultant to work with. Make a small list of things you’d like addressed or configured and use them for a couple hours. Make sure you work well together, that they are competent and that you’d feel comfortable hiring them again in the future. Trust your gut, if there’s doubt, try another. Don’t wait for dire emergencies. Neil Tyra, attorney and producer of The Law Entrepreneur podcast asks solos if they would pay an IT person $250 an hour. If not, why would they take an hour of your time, as an attorney trying to troubleshoot an issue? Get in the habit of using your hourly consultant on a proactive basis and reduce the amount of time you spent dealing with IT. Start by making a list of your concerns, the things that keep you up at night. Then hire a consultant to implement solutions to address these concerns. Plan regular visits and add to your budget. This will vary based on your size, but have them perform regular maintenance, monthly for most people, more often if you are larger and at a minimum, a quarterly visit. Build the cost into your budget. To wrap up, I urge you to stop playing the IT person in your firm and focus on serving your clients and building your practice. If you are currently using an hourly consultant, move out of the two-thirds who only call in emergencies and move into the third that are proactive. And if you are going to work with an hourly consultant, here is your homework: Pick the top three strategies that struck a chord with you from the “what NOT to do” or from the Best Practices section. Then outline three actions you will take to shift the approach towards IT from reactive to proactive. In next month’s article, we’ll discuss Managed Services, which takes being proactive to a whole other level. As my readers know, my firm has used Rocket Matter since its launch in early 2008, and we absolutely love it. 2016 has already been a busy year for them, as they introduced QuickBooks Online integration and Rocket Matter Payments in February, followed in March byMatter Templates and Rocket Matter Atlas, a complete, modern redesign of the its user interface. Never ones to rest on their laurels, Rocket Matter released their Atlas 1.1 update a few days ago, which includes numerous new additions to help make law firms be even more productive and increase their revenue. These new features include new tax functionality, multiple timers, an improved onboarding experience with gamification, and customizable dashboards. Because my firm is on a pre-release program, we have been using many of these features for several weeks, and I can easily say that my favorite is the customizable dashboards and calendars, which now allow users to customize their personal Dashboards to be either “task-centric” or “calendar centric.” Everyone works in different ways, so this additional flexibility allows users to choose the one most helpful to them. In our office, the attorneys lean toward the “calendar centric” view, while our support staff prefer the “task-centric” view. One of the other great new features is the ability to view the firm-wide calendar in either of two view settings. Users who prefer to view their calendar in one clear, elegant-looking size, “fit events to view” provides a “more” link if the number of events on any given day exceeds the available space. On the other hand, “show all events” will stretch the size of the page to show all events on each day without having to click on the “more” link. I prefer the latter, but I can see why some would rather have the option for the same size “box” for each day. People who tend to work on multiple tasks at once will love the new multiple timers feature (shown at right). This allows Rocket Matter users to run a timer, pause it when they get interrupted, start another one for a different matter, and then come back to the original timer later. Billable time gets tracked on each timer and, in turn, seamlessly appears on an invoice. For those with many things going on at one time, this can be a life saver (and help capture time that might otherwise be lost and thus unbillable. If you haven’t already checked out Rocket Matter Atlas, you can view this informative overview video. We are extremely choosy with regard to which program we entrust our calendaring, task management, contacts, and time and billing (among other important function), and the fact that we have been with Rocket Matter for almost 8.5 years is a testament to the strength of their product. In the decade before we started using it, we easily went through 7 or 8 other products trying to find the “right” solution. For us, that’s Rocket Matter, and we applaud their never-ending desire to constantly improve their product in an effort to make the work lives of their users more efficient and more profitable.